Are Metal or Plastic Drums Better? As you walk around your office or travel on the road, you may have noticed 55-gallon plastic drums that are either black or blue in color. Some of the drums are made of plastic while others are made from metals such as steel. Usually, these drums are used for storage and shipment of toxic and dry materials. If your company ships liquids, flammable materials, or toxic materials, using drums is an excellent choice. But, you may be wondering, which type is better? Well, let’s take a look at some details and figure it out. One factor when comparing plastic to metal drums is to consider price. Buying new metal drums will set you back nearly $100 while a plastic drum of the same size is nearly half the price. If you are using drums for shipment, provided that regulations are met correctly, you should consider choosing plastic drums since the cost savings will be significant. Even for your own projects, consider what you need and pick the least expensive option that will meet your needs. Also, consider buying used drums to save money. In terms of price, plastic is the clear winner. Another important factor to consider, especially when shipping or storage is involved, is weight. Plastic drums, on average, weigh nearly half as much as a steel drum. You need to combine the drum’s weight with the weight of the item stored per gallon in order to determine the total load. With large quantities, given that other regulations are met, the cost of the container can make a huge difference. In addition, if you plan to store liquids on a structure designed for a certain load, the type of drum you use will be the deciding variable to reduce the overall weight. In terms of weight, plastic is again a clear winner. In school, you probably learned that metal tends to dissipate heat more quickly than materials such as plastic and ceramic. If you want to store heated water long-term and maintain the temperature, you might think that plastic drums are a better option. On the contrary, a study by Small Farm Magazine showed that there was no advantage to using either. In this case, neither plastic nor steel prove advantageous. If you have ever stored liquids such as juice or even food products such as fish, you may have noticed that plastic containers tend to keep the smell and flavor of whatever was stored. If you decide to store something else, the previous flavor could leak into the new item stored. Even though this is a serious drawback of plastic, using steel is not an option because water and other liquids contain traces of chlorine and oxygen molecules which will cause steel to corrode and mix with the liquid. 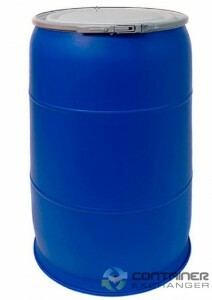 In terms of storing liquids such as water, plastic drums are a better choice. However, try using new drums to prevent your stored items from acquiring an unusual flavor. You can also try thoroughly washing the plastic containers to get rid of harmful bacteria and make them more suitable for storage of liquids and dry foods. When shipping toxic chemicals, companies store them in metal drums because they tend to be non-reactive and are stronger. Also, some regulations mandate that these chemicals be stored in steel drums. Living in a remote area, especially a long distance away from gas stations, may require you to store several months of fuel. If you plan to store fuel or another harmful substance, then steel drums are the best choice. Of course, plastic and metal drums don’t have to be all work. Apart from their industrial uses, many people have used their creativity to make some unique items out of both metal and plastic drums. Since metal drums are stronger and can withstand heat, people have used them to make furniture and barbecue pits. Those interested in gardening, have turned both types of drums into hydroponics bays and pots to plant vegetables or flowers. People with dogs have even turned steel drums into dog houses. Plastic and steel drums are everywhere and used by numerous industries to ship and store goods. You may be thinking of buying one and wonder, which type is better? There is no definite answer because it depends on what items are stored and your budget. Take these into account to decide what to use. This entry was posted in Drums and tagged drums on March 25, 2016 by madden_david. Industrial Drums – How Important Are They? Container drums have been in use since ancient times when clay drums and oak barrels were used to store a host of items. Storage and drums go together perfectly. It’s for this reason that these drums have grown in popularity and necessity. Today, business, warehouses and industrial facilities all rely on drums as containers for a wide variety of products like liquids, solids, powders and granules. This clearly shows the how important businesses and commercial enterprises consider drums. Drums are available in wood, metal, plastic, cardboard and fiberboard. They can be purchased new or used. The 55-gallon drum is the most common. This size is favored for shipping large volumes of drums over long distances over land, rail or sea. It’s the most commonly purchased size. 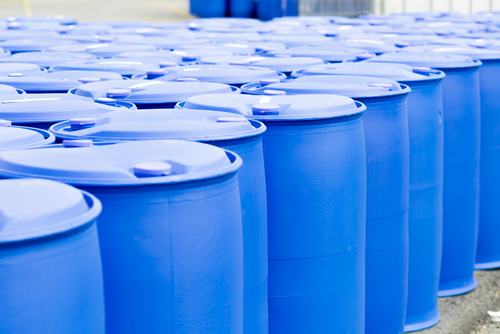 There are other sizes like 12-gallon, 30-gallon, 52 and 77 gallon drums. Businesses choose used drums over new for storage containers for warehousing and end-product storage of processing materials. Drums are sold with seals and lids that prevent spillage. Another popular use for used plastic drums is recycling. In many local municipalities, used plastic drums are distributed for the collection of glass, metal and plastic recyclable items. For businesses, these drums are a cost-effective way to maintain storage space. “Land ports” have grown in nearly every state. Land ports are huge warehousing complexes that need drums for storage. Warehouses operate more efficiently when space is fluid and available. Used storage drums help maintain adequate warehouse storage space. In production facilities, used drums are the best way to expedite shipping via truck or rail to ports of export or import. 55-gallon drums stack neatly onto pallets for convenient transport to truck or rail car. This entry was posted in Bulk Containers, Drums on March 21, 2014 by madden_david.